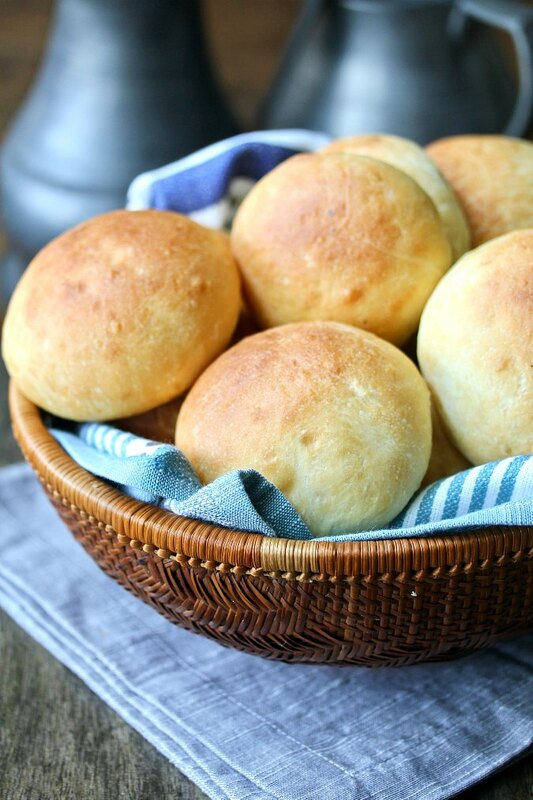 Pan Blanco Cuencano are anise-scented rolls from the Ecuadorian highlands region of Cuenca. They are typically served filled with roast pork. Pan Blanco Cuencano is a slightly sweet roll that is light and fluffy. They are naturally pale and beautifully scented with anise, which is infused in the milk in the recipe. 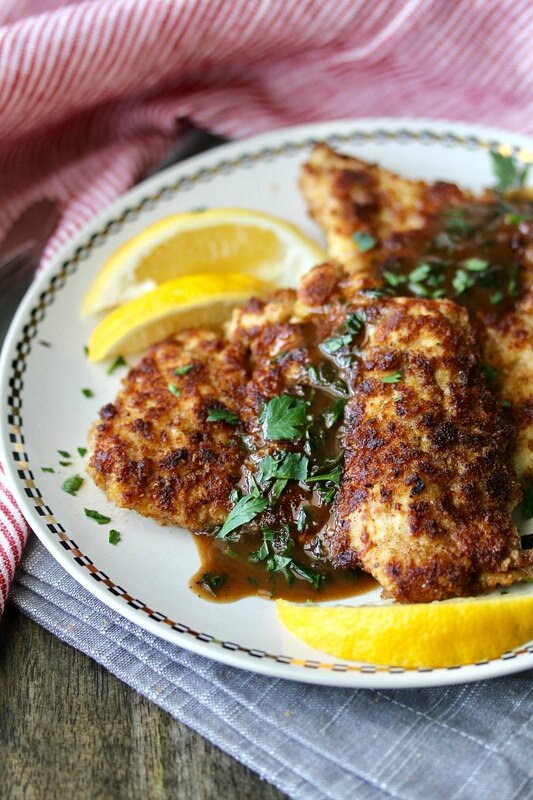 Chicken Scaloppine al Limon, juicy breaded and pan fried chicken cutlets and drizzled with a lemony sauce. This chicken scaloppine is fun to make too. You take boneless, skinless chicken thighs, butterfly them, and then, using a mallet or a heavy skillet, pound the heck out of them to flatten them to a 1/4-inch thickness. These beer and cheese muffins are a cheesy and savory treat. They are filled with Fontina cheese, but you can use any good melty cheese you like, such as mozzarella, cheddar, or gruyère. For an extra kick, you could also use pepper Jack. 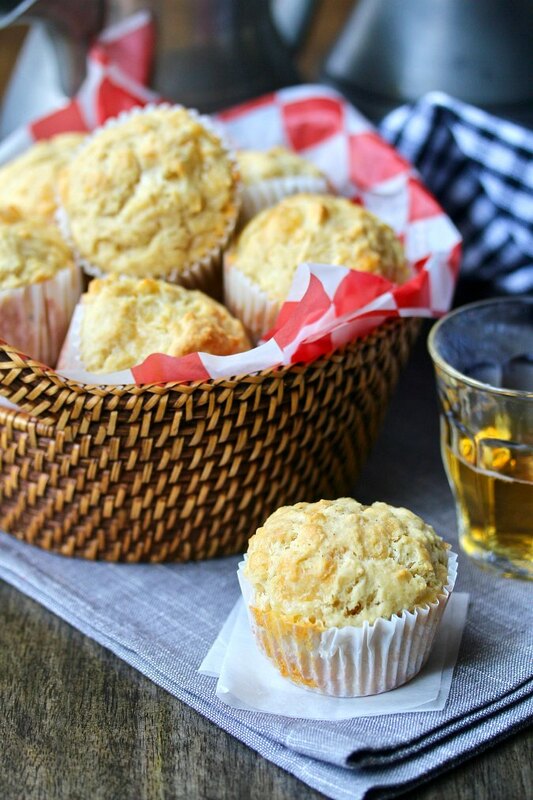 These beer and cheese muffins get most of their liquid from a bottle of beer. The beer also may add a little bit of leavening to the batter. These Levain Bakery Dark Chocolate Chip Cookies are really big and meant to be shared.... but you don't have to if you don't want to! I won't tell. 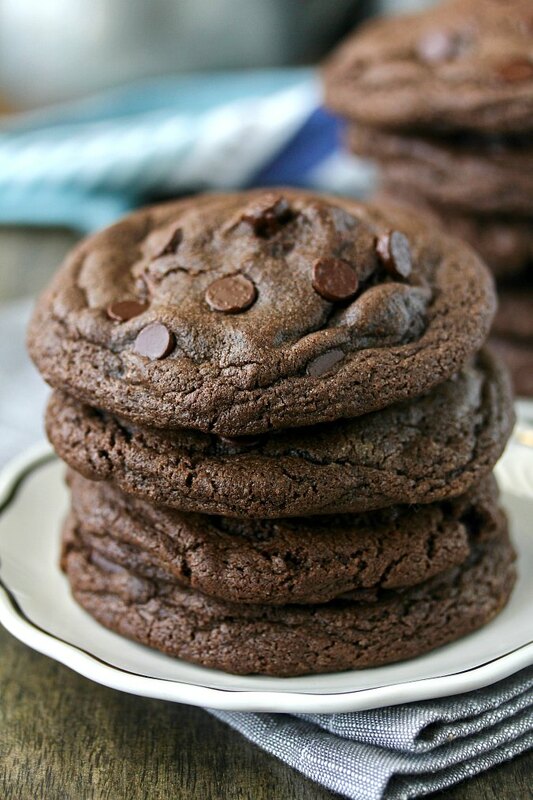 These copycat Levain Bakery chocolate chocolate chip cookies are soft, moist, and thick. They are also exceptionally chocolaty. 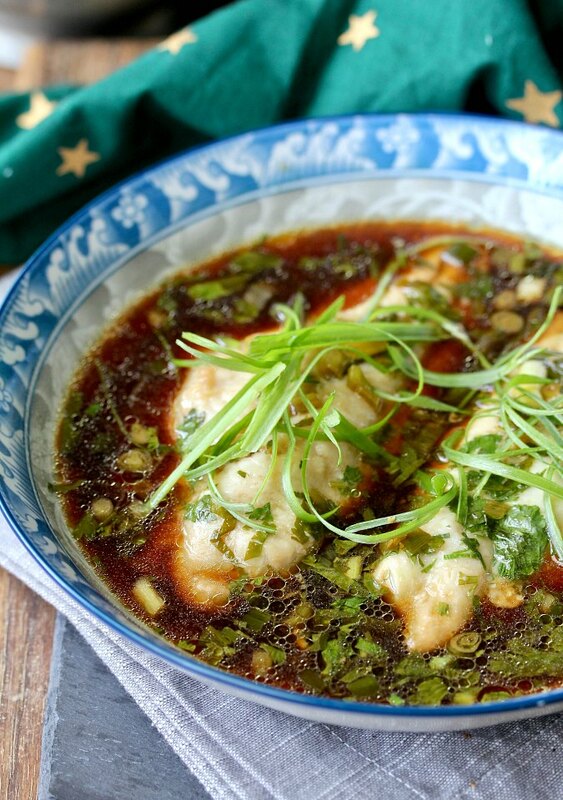 These catfish fillets are poached in a delicious mixture of ginger, soy sauce, scallions, cilantro, and rice vinegar. Need a fish dinner that is fast, inexpensive, and delicious? 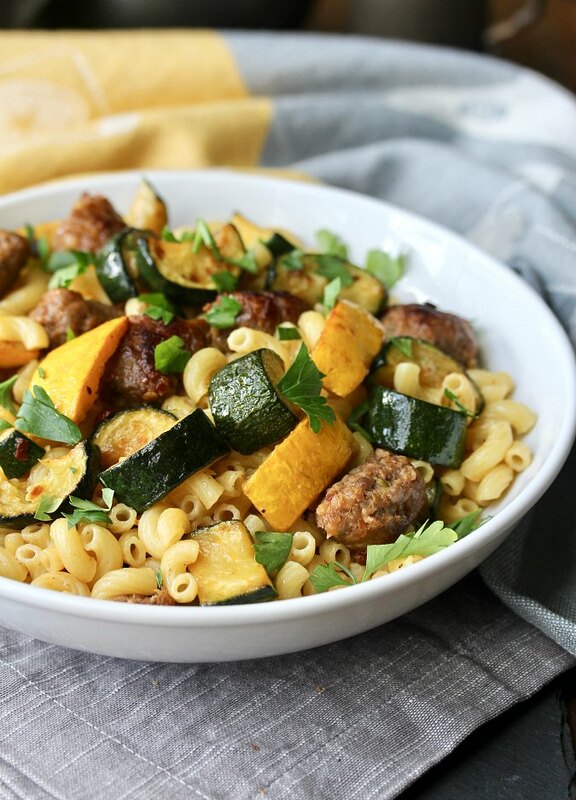 This dish is tasty, takes less than thirty minutes to make, and is super economical. It's even pretty enough for dinner guests. The sauce is wonderful over rice and steamed or stir-fried vegetables. 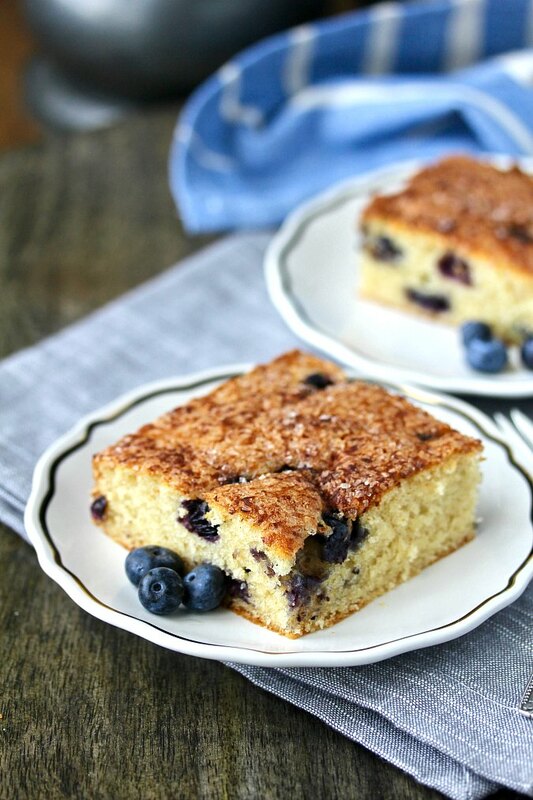 Blueberry Boy Bait Cake is a tasty, buttery, blueberry filled sheet cake that is topped with a layer of cinnamon sugar. How did Blueberry Boy Bait get its name? Evidently it was the name of a cake entered into the 1954 Pillsbury Bake Off, and won second prize. The baker said that it was named for it's irresistable pull on young men (the baker was 15). This potato soup with fried almonds gets its creaminess from the Yukon Gold potatoes, which seem to melt into the broth. 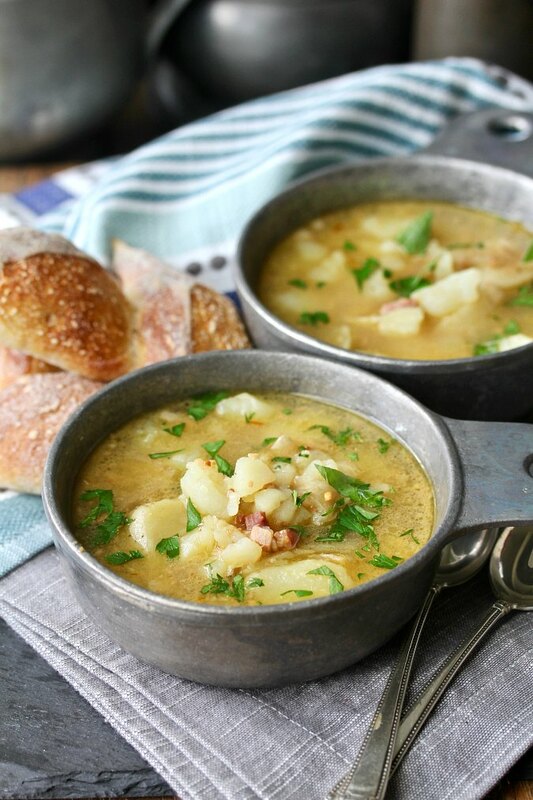 This potato and fried almond soup is actually pretty light, but tastes so rich and hearty. The almonds in the soup are fried with garlic and then ground before adding them to the soup while it is simmering. The soup is also flavored with prosciutto or Serrano ham and a bit of saffron. This Sicilian Tuna Salad Sandwich will have you dreaming of picnics in the islands of southern Italy. Pack this sandwich, a bottle of wine, a blanket, and a corkscrew, and find a spot on the beach or a park to enjoy the remains of summer. 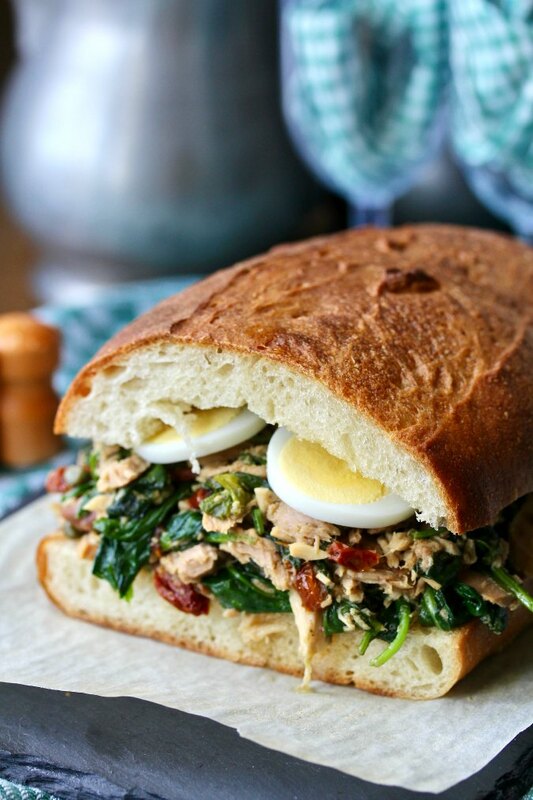 This Sicilian Tuna Salad Sandwich is a fun and unique way to prepare tuna salad. 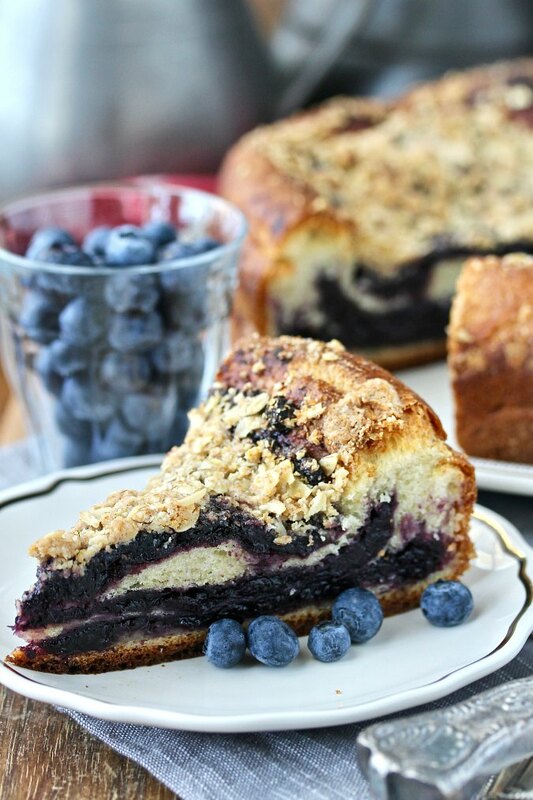 This Blueberry Brioche Coffee Cake is made with layers of no knead brioche dough and homemade blueberry jam. The brioche dough for this coffee cake is so easy to make. You mix it in a three quart container with a dough whisk or a large spoon and then let it rise in the refrigerator for up to five days. This recipe will make one coffee cake plus a small loaf of bread. Pain d'Epi - French Wheat Stalk Bread - Happy Birthday Julia! 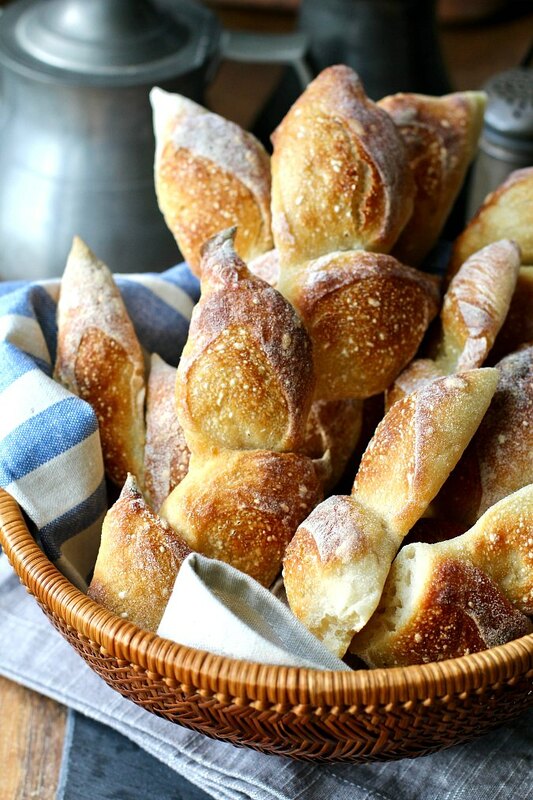 Pain d'Epi, or wheat stalk bread, is a classic French bread shape. You shape the dough into a baguette, let it rise, and then snip it with scissors to create the wheat stalk look. 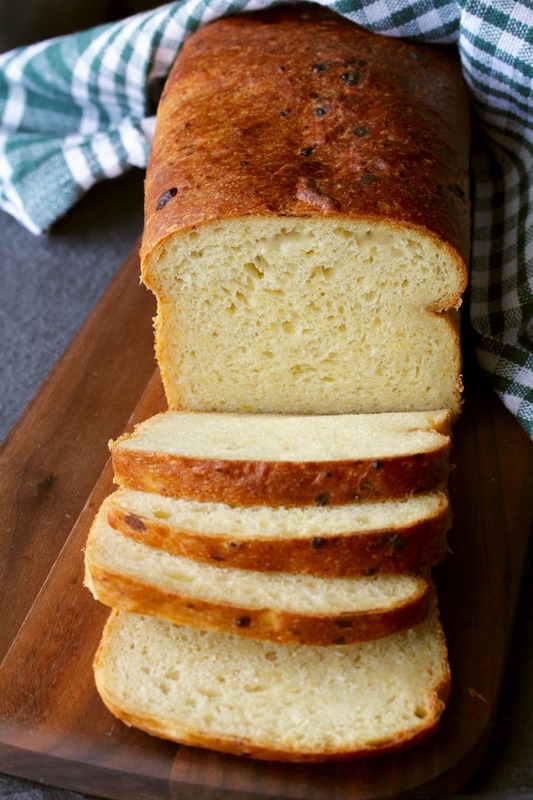 Making epi bread is one of those methods that is so easy, but looks so professional. As a friend recently said, "you even look at them afterward and think "did I do that?" These Jalapeño and Cheddar Bagels are so chewy and delicious, and the crust is super crispy and cheesy. 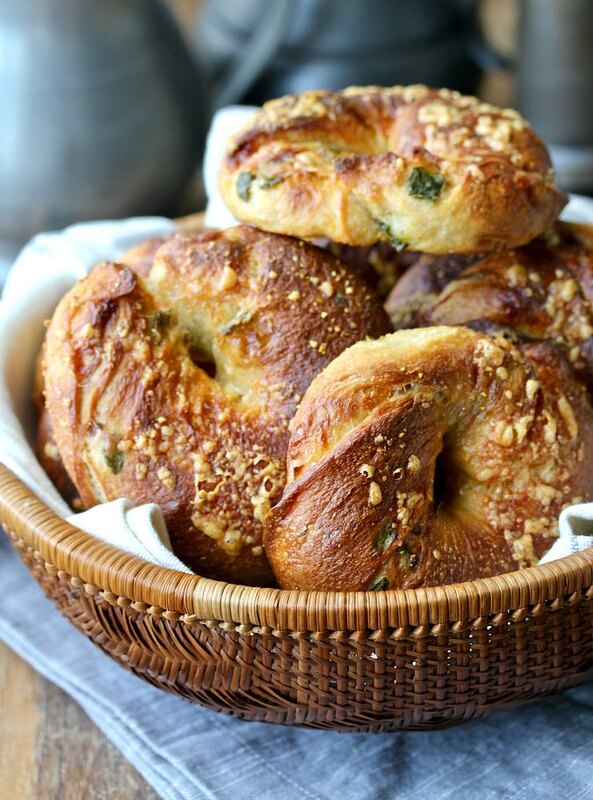 These bagels are also filled with more cheese as well as chopped jalapeño chiles. When it comes to bagels, I love trying new methods for creating chewy boiled New York style bagels. 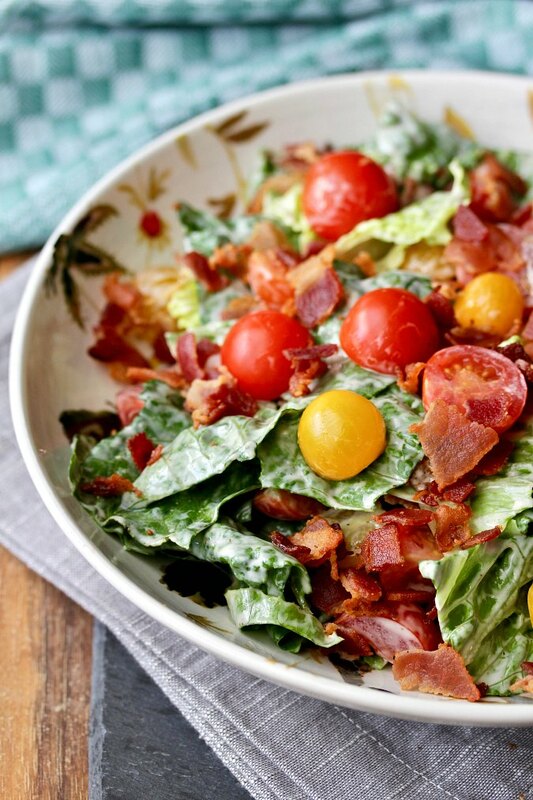 This bacon, lettuce, and tomato salad takes all of the ingredients from the classic B.L.T sandwich, and turns them into a delicious salad. This B.L.T. Style Salad would be wonderful as either a starter for dinner, or a main course for lunch with some chopped avocado. You could even add croutons to the salad to capture all of the ingredients of a B.L.T. sandwich. 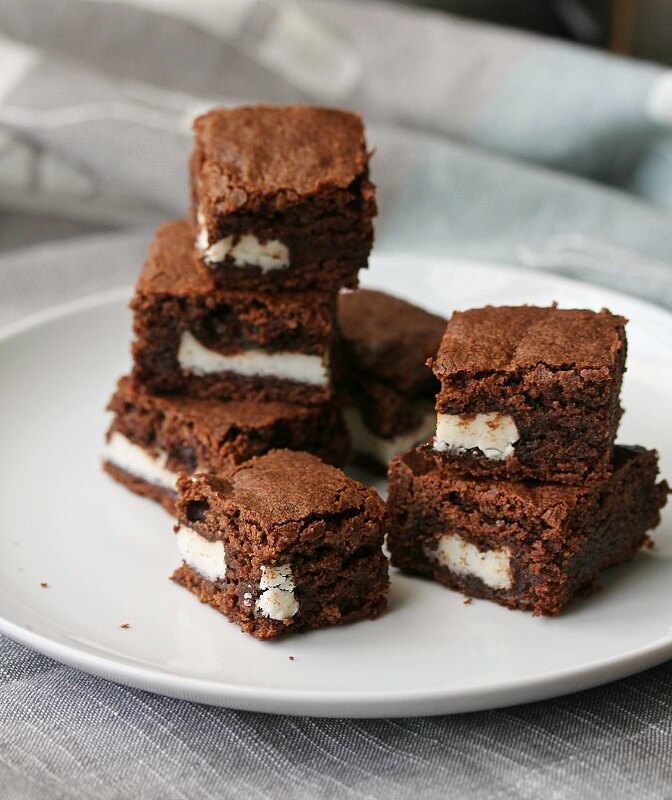 These Peppermint Patty Brownie Bites stuffed with York Peppermint Patties are such a fun treat! Peppermint Patties are on my list of favorite candies. Chocolate and mint are pretty much a perfect paring. This Roasted Onion Dip will change your mind about onion dip. It's made with slow-roasted onions and garlic and mixed with Greek yogurt. This onion dip is a game changer. 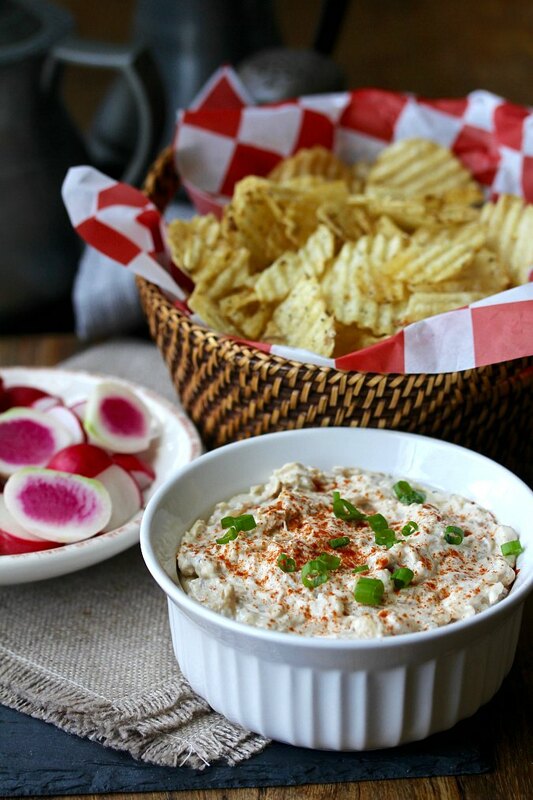 This onion dip is just about the most incredible dip you will ever have. I know there's a lot of hyperbole in that statement, but I stand by it. This onion dip is gooooood! This is not your grandma's sour cream and Lipton onion soup dip (not that there's anything wrong with it). 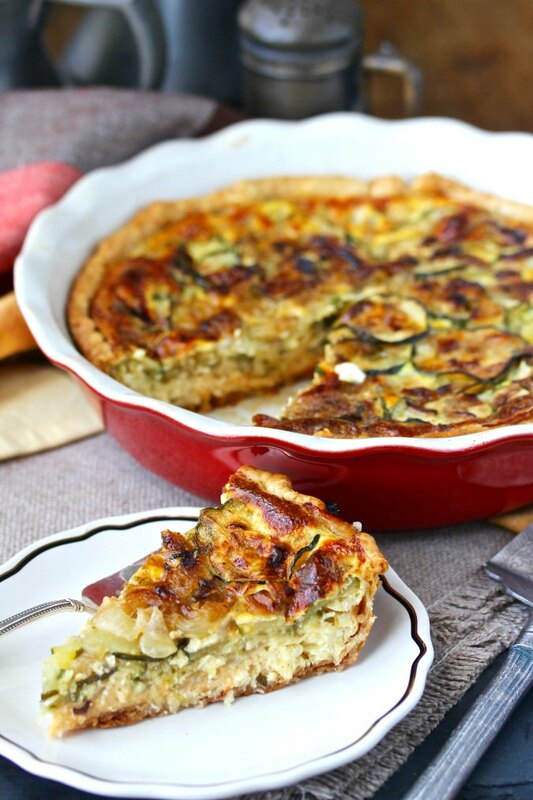 This cheesy zucchini quiche is loaded with freshly harvested onions and zucchini, the bounty of summer that you can find at farmer's markets right now. This zucchini and sweet onion quiche is also super cheesy. I used Gruyère in this quiche, but you can use any good melty cheese such as Swiss, Emmental, Monterey Jack, or mozzarella. This Mexican Street Corn Salad takes the flavors from the grilled corn (elotes) slathered in a mixture of mayonnaise, cotija cheese, chili, and lime sold by street vendors in Mexico (and here in parts of Los Angeles) and incorporates them into a delicious salad. 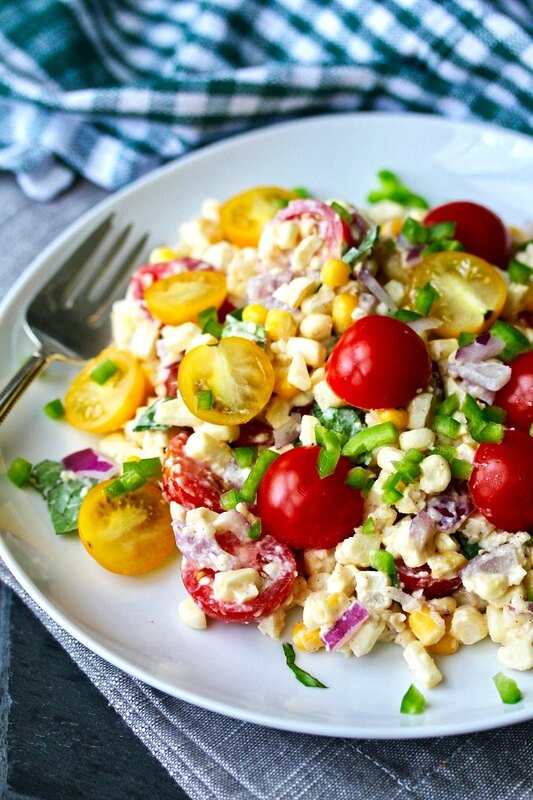 This Mexican Street Corn Salad is from the new Simply Vegetarian Cookbook by my friend Susan Pridmore of The Wimpy Vegetarian, and I'm totally thrilled to participate in her virtual blog party to launch her first cookbook. I hope I do her proud. This cheesy zucchini sandwich bread is not your usual zucchini bread. First, it's a yeasted bread, and second, it's loaded with onions and cheddar cheese. This zucchini bread makes amazing toast, and is the perfect bread for grilled cheese sandwiches and tuna melts.